On average our customers rate this product 4 out of 5. 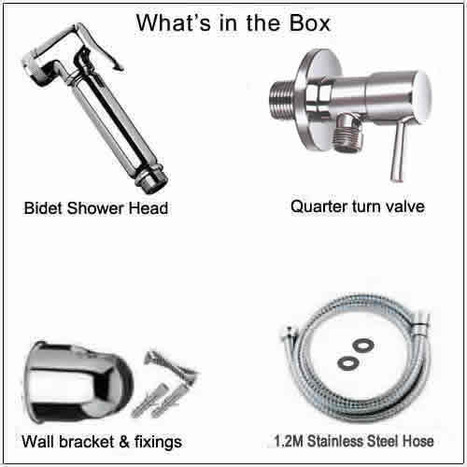 Each kit comprises Showerhead with water control trigger, 1.2M Double lock stainless steel hose, Wall mounting bracket with fixings and Ceramic core 1/4 turn angle valve. 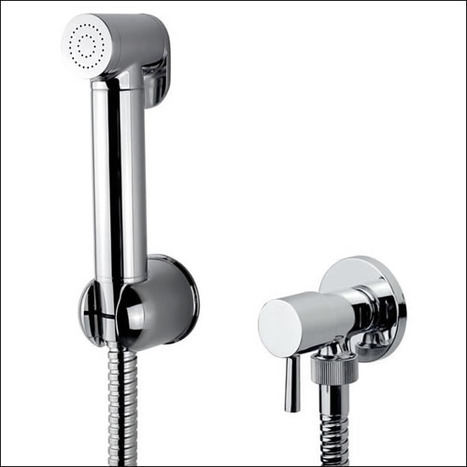 Bidet shower head with water control trigger The Bidet shower head is manufactured in high-grade brass with a mirror chromium plate finish. The weight of the shower head, around 300 grams. For warm water systems, you will require a mixer, we stock a number of these which can be found in the Warm Water Mixing Valves section. For added convenience, we also supply a number of warm water kits, prefixed by KIT providing all the key components your plumber will need to install a warm water system these can be found in Warm Water Bidet Shower Kit section. It is essential that your Bidet Sprayer is installed in compliance with the Water Regulations Advisory Service (WRAS) guidelines. If in any doubt please consult a qualified plumber.